Your new community is preconfigured with four categories. You can modify or delete these as well as add new categories. Go to Admin > Categories and click Add Category. Enter a category name and optional category intro, then click Save. Additional options can be configured in Settings. Your category has been created! Click View Category to visit the category in the community. 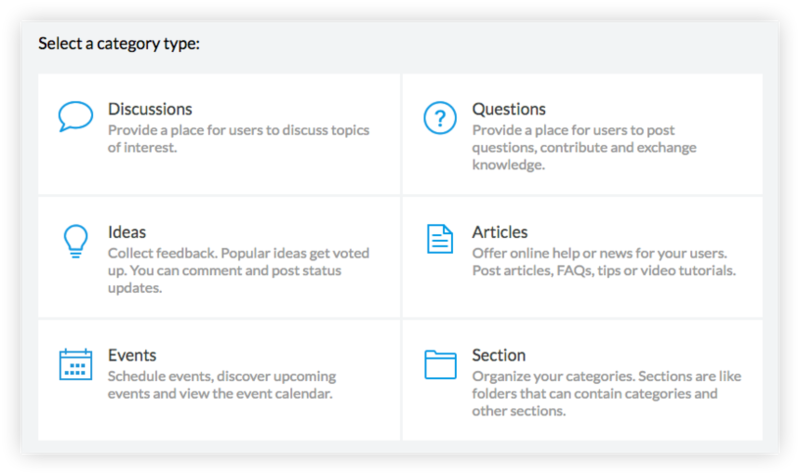 Click the Categories tab to continue adding additional categories. You may change settings for a category at any time. Go to Admin > Categories and select a category. Click a panel to expand it and edit the settings, then click Save. You have successfully edited your category! 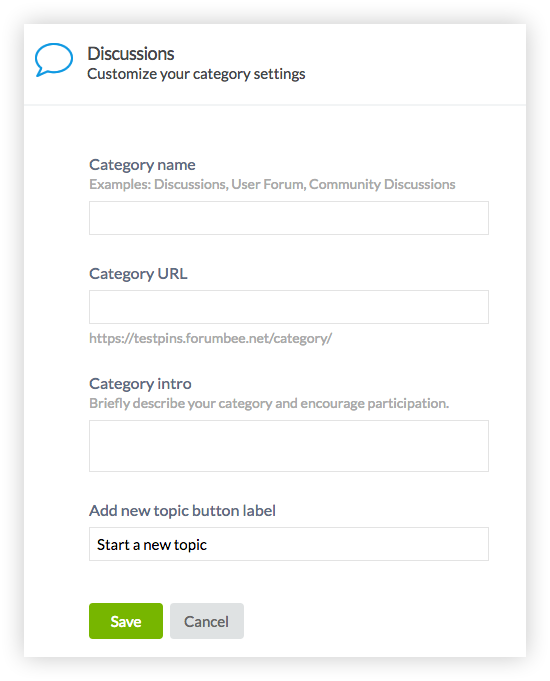 Click View Category to go directly to the category in your community. Deleting a category permanently removes the category, including all of the posts and activity in the category. Go to Admin > Categories and click the category. 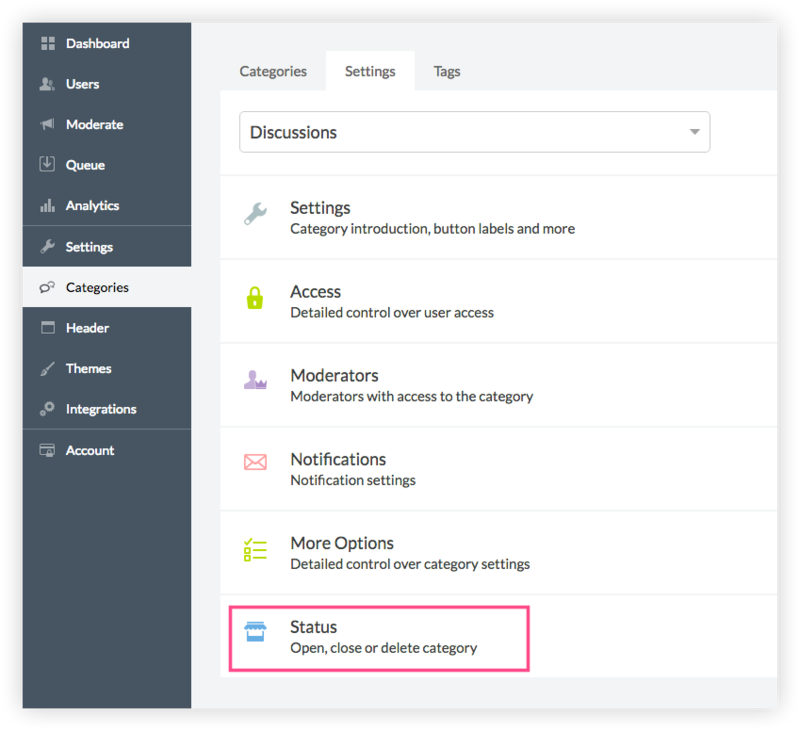 In category settings, click the Status panel to expand it. You will be asked to confirm the deletion. Type the word delete into the field and click Permanently Delete. To change the order of categories, go to Admin > Categories. Click the grab handle on the left side of the category and drag and drop into its new position. 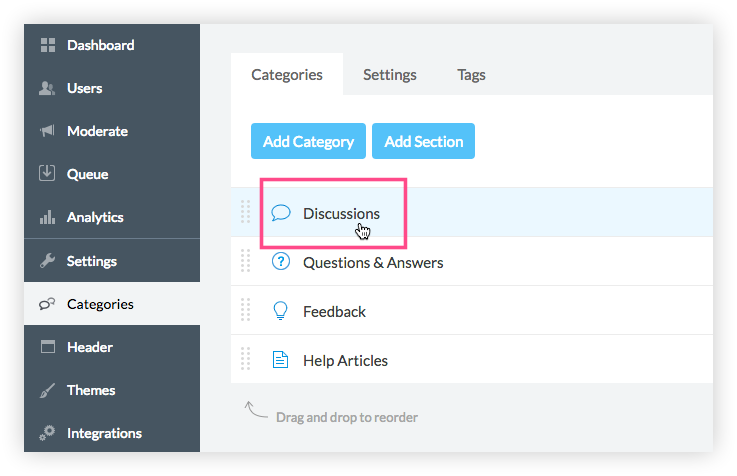 Sections are like folders and can be used for organizing categories hierarchically. 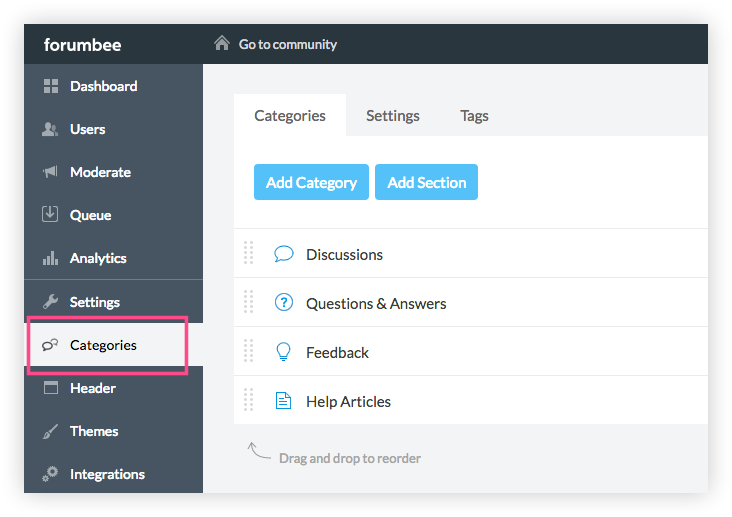 For example you can create a section called "Knowledge Base" and move your article categories into it. Sections can also contain nested sections. 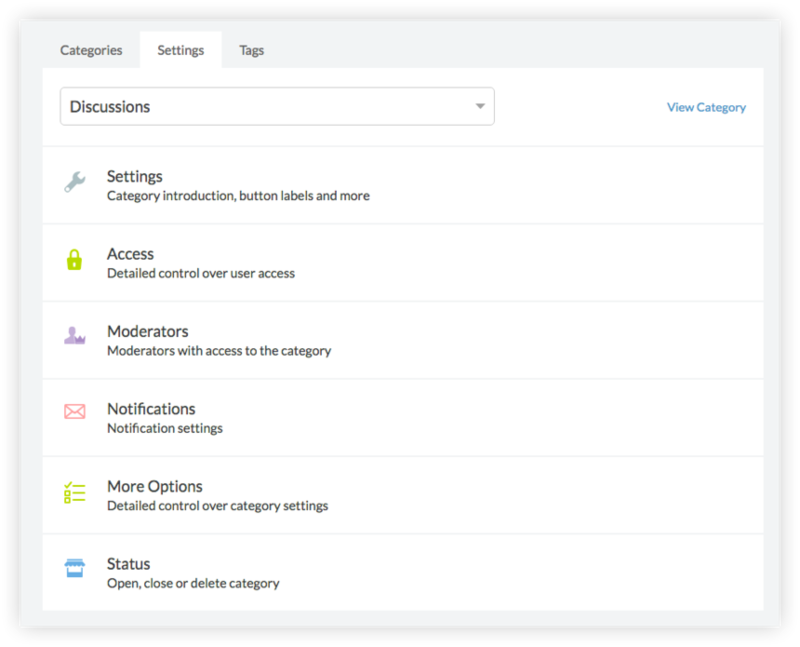 In Admin > Categories and click Add Section. Enter a name for the section and click Save. That's it! Your section has been created.